The Walking Dead is headed for some serious changes over the next year. Season nine of the zombie survival drama will see a time jump from the season eight finale, and this season will be the last for Andrew Lincoln (Rick Grimes). TWD has had some trouble staying as gripping as it used to be, and a lot of fans will look hard at how the show manages this transition before deciding whether or not to keep the show in their rotation. TWD Season 9 will premiere on AMC on October 7, 2018. More below from Comic Book Resources. There are three months to go before The Walking Dead returns to AMC for its ninth season, but that’s not too early for the show’s cast and crew to converge at Comic-Con International in San Diego‘s Hall H for a panel highlighting what to expect when the show returns in October of this year. Alongside executive producers Angela Kang, Scott M. Gimple, Robert Kirkman, Gale Anne Hurd, David Alpert and Greg Nicotero, stars Andrew Lincoln, Norman Reedus, Lauren Cohan, Danai Gurira, Melissa McBride and Jeffrey Dean Morgan were on hand to offer fans a few teases about Season 9. CBR is there live, so keep hitting refresh for the latest details. It opens with Rick visiting Negan in a makeshift dungeon — spoiler alert, they still hate each other. The time jump is confirmed by the look we get of Maggie and Glenn’s baby who’s probably about a year old. The communities are all looking far more sophisticated, developed and idyllic. We get shots of Rick and Michonne riding horses and fighting walkers and in general being #couplegoals. Rick has fully welcomed the Sanctuary into the fold and actively helps them rebuild. A team winds up exploring D.C. for an unknown reason, and one of the new communities (Toledo) appears to cause serious problems and be the new nemesis. Jadis has fully integrated into some society and looks pretty happy. There is underlying strife between Rick, Maggie and Darryl that looks very serious — not surprising considering Maggie’s promise to kill Negan when she gets the first chance. Eugene and a partially blind Gabriel appear, as well as Carol who’s questioning her position in peacetime. And finally, after the final title card rolled, we got a shot of two people sliding down a riverbank and covering themselves with mud to hide from a train of walkers. As the walkers pass, one of them whispers “Where… are… they?” So, you know, take that as you will. 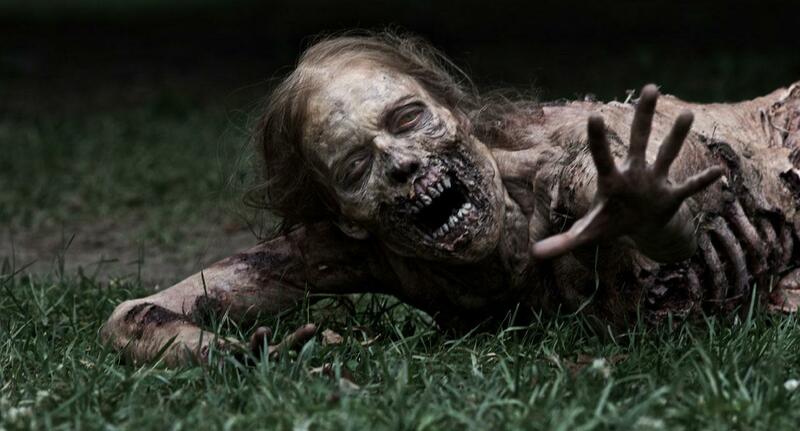 The second season of The Walking Dead struggled without Frank Darabont there to guide it. The search for Sophia and the neverending meandering at the farm really sapped the show of a lot of its momentum that year. What the whole season built to was a confrontation between Rick and his partner and former best friend, Shane. Rick had disappeared at the beginning of the zombie apocalypse (I love getting to type that) and Shane had sort of sidled on in and taken Rick’s place with his family and he was not very cool about being booted out of that role. In the comic, all of this takes place in about eight issues because Robert Kirkman had lied to Image Comics about what the series was going to be about and was expecting it to be cancelled at any moment (he told them aliens were going to show up and wipe out everyone….seriously). The slow burn toward this works much better and gave Jon Bernthal a lot more time to develop Shane as a character so this became much more of a pivotal scene. 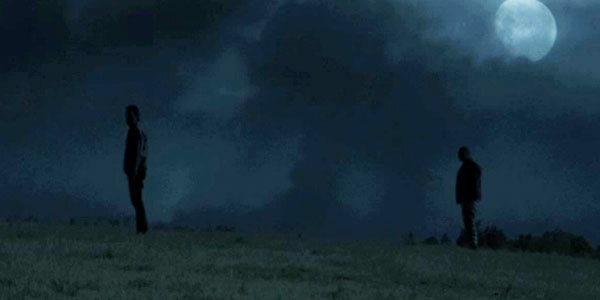 FIRST: it goes without saying that this is a very, very violent video. I shouldn’t have to say that, because we’re talking about The Walking Dead, but I don’t want to hear it from someone traumatized. I’m in awe of how popular AMC’s adaptation of Robert Kirkman’s zombie apocalypse that never ends comic book has swept pop culture. Last year, Killing Time readers voted The Walking Dead the best show on TV (that annual poll will be coming up in September). The show’s sixth season is on its way in October, the fifth season hit Blu Ray/DVD today and its spin-off series premiered last Sunday. Geek Tyrant’s impressions from the SDCC panel. 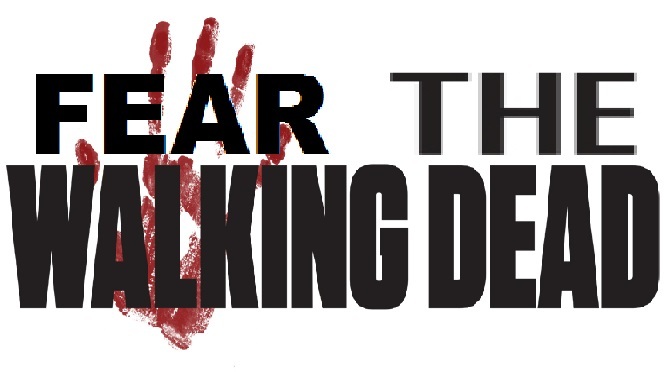 Though it exists in the same universe, Fear the Walking Dead is going to be a completely unique beast. The story sparks in Los Angeles during the handful of weeks that Rick is in his coma in Georgia. Rather than dropping us into the other end of the apocalypse, Fear will let us experience it happening along with these new characters. A heavy focus will be on the way the modern American views world-wide crisis, as those in the thick of it continue to deny that this will influence them until it is far too late. On the smaller scale, it is the development of the group of survivors we follow that made Walking Dead so enjoyable. Fear the Walking Dead focuses on a high school English teacher and his two families: his new wife and teenage stepdaughter, and his ex-wife and estranged teenage son. The fall of civilization force these two families together and into the lives of a small business barber and his family. As season five of The Walking Dead comes to a close, America need not fear a year-long wait for more undead, cannibalistic action. AMC, with the loss of Breaking Bad and imminent loss of Mad Men, has some holes to plug. And, goshdarnit, why not plug them with the rotting corpses of the undead that America eats up like fried Snickers bars? 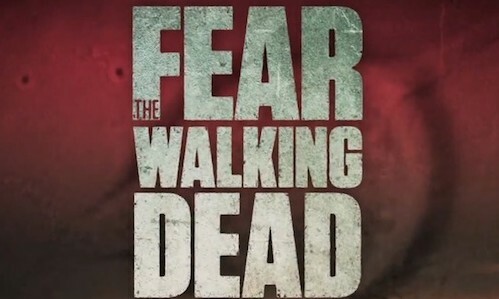 Fear the Walking Dead has a two season initial order with the first season being similar to TWD’s, a six episode run, that will air Summer 2015. The two series will not intersect, according to TWD creator, Robert Kirkman, shouting the answer down from the skyscraper of cash that you crazy zombie-lovers have made him.